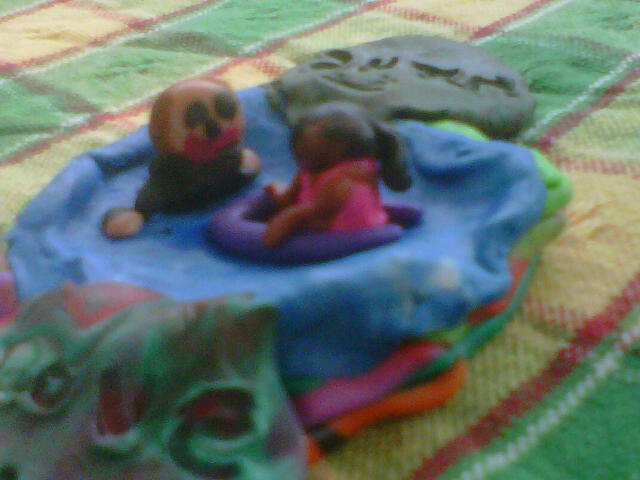 One of my little pupils made me this lovely model of me and her in the water. It was so detailed. Look at how she has put in my hands just showing out of the water, and her own arms resting on her float; beautiful.